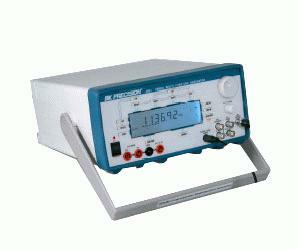 The B&K Precision model 4051 is a programmable multifunction generator that is extremely versatile and affordable. It is a perfect instrument for R&D, Manufacturing Test Systems and Service and Repair. Because it is so versatile the 4051 is ideal for Educational and Training applications. Along with the standard features you would expect on a function generator the 4051 features an adjustable triple output switching power supply, universal logic probe, auto-ranging frequency counter and a digital voltmeter. All of these features allow you to analyze and measure many aspects of an electronic circuit.